At the age of 74, following a 32-year battle with Parkinson's disease, world champion boxer Muhammad Ali died Friday in Phoenix, Arizona. Tributes for the three-time world heavyweight champ, civil rights champion, and self-described "greatest" have poured in from family, friends, and fans across the world in the wake of his death. He has been remembered for his raw athleticism, the courage of his convictions, his wit, and his activism. But the boxer had a few ideas of his own for how the world might choose to think back on his life and legacy. In fact, one might say Ali knew exactly how he wanted to be remembered. Many words have been written about the iconic sportsman but perhaps none more eloquent than those Ali wrote himself. In his 2004 memoir, The Soul of a Butterfly, Reflection on Life's Journey, Ali wrote openly about how he hoped to be remembered. I would like to be remembered as a man who won the heavyweight title three times, who was humorous, and who treated everyone right. As a man who never looked down on those who looked up to him, and who helped as many people as he could. As a man who stood up for his beliefs no matter what. As a man who tried to unite all humankind through faith and love. And if all that's too much, then I guess I'd settle for being remembered only as a great boxer who became a leader and a champion of his people. And I wouldn't even mind if folks forgot how pretty I was. 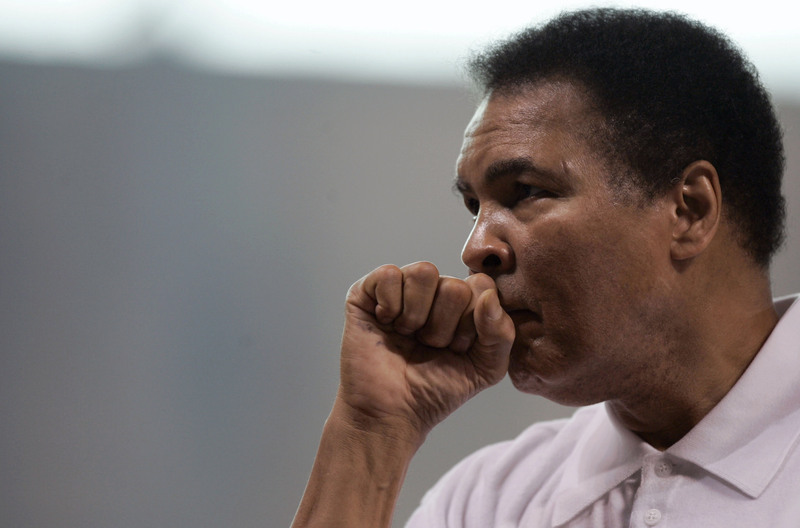 That wasn't the first time Ali had reflected on the legacy he hoped to leave the world. In 1972, British journalists David Frost asked Ali what he'd like people to think about him when he's gone. The boxing legend was as quick with expressive and evocative language as he was in the ring and shared with Frost his "recipe for life." "I'd like for them to say, 'He took a few cups of love,'" the former world heavyweight boxing champion began. "'He took one tablespoon of patience, one teaspoon of generosity, one pint of kindness, he took one quart of laughter, one pinch of concern and then he mixed willingness with happiness, he added lots of faith and he stirred it up well. Then he spread it over a span of a lifetime and he served it to each and every deserving person he met.'" Both are fitting memorials to Ali, a man who never shied away from the political controversy his beliefs stirred up in the early 1960s. A conscientious objector to the draft during the Vietnam War, Ali was also an outspoken civil rights activist. His reflections on how he'd hoped to be remembered perfectly embody his strength of character and willingness to go more than a few rounds in battles much larger than those that occurred in the boxing ring.